Please see our SUPPORT page for the list of financial collaborators. Nicole Caporusso Kutcher graduated from Hamilton College in 2002 with a major in Dance and East Asian Studies (ask her to speak a little Mandarin for you and she may oblige). Four days after graduation, she was summoned to Brooklyn as a last-minute stand in for another dancer and performed the part of a slightly sinister, dagger-wielding, Virgin Mary. She improvised the whole thing. Nicole moved to NYC, was a member of the HT Chen and Dancers company and performed with choreographers Vanessa Paige and Mariana Bekerman. She then took an extended hiatus (10yrs!) from dance. During that time, she moved to the Pioneer Valley, became a Mama to two awesome children, and opened Renew Pilates Studio, which she co-owns. 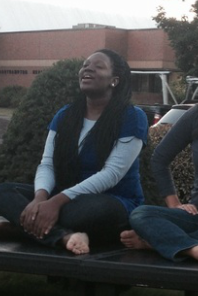 Nicole is both a creative and administrative collaborator with the tinydance project. She can speak Mandarin. ,Jayme Winell started dancing at a young age in Brisbane, Australia. At ten years old Jayme started to take classes more seriously and for high school went to the San Francisco School of the Arts to study dance. 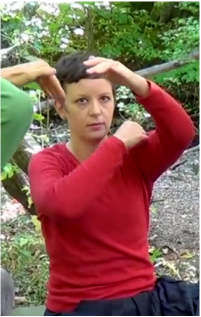 It was there that Jayme began studying choreography, making her own work and teaching. At 17 she apprenticed with a company called Dance Ceres and performed at Stanford University, in two dance conventions and in public spaces in San Francisco. 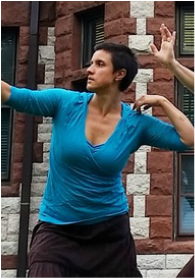 Jayme has taught modern dance, ballet and improvisation in Colorado, California, Maryland, Massachusetts and Chiapas, Mexico. 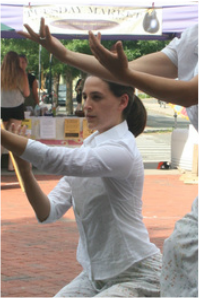 Jayme graduated from Hampshire College in 2012 with a focus on dance, people's history and arts for community building. She has performed in theaters, halls, studios, classrooms, conferences and marches in the streets and once in a fountain. 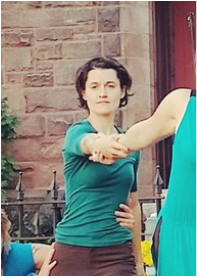 She is currently a collaborator with the tinydance project, working as a physical education teacher and performs with the band Flame n' Peach and the Liberated Waffles. Jayme is a performer, songwriter, traveller, farmer-in-training, massage apprentice and writer. She hopes to be bilingual in Spanish someday, wants to learn the basics of sign language, and can swim under water while holding a mango on a stick above water. 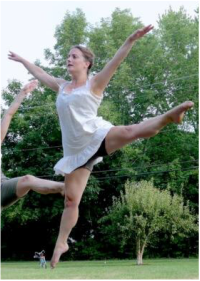 Liv Fauver began her dance career training at City Center Ballet in Lebanon, NH. 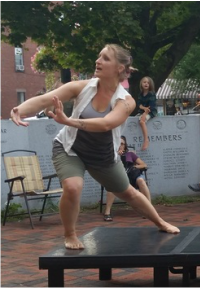 She has since graduated from the Smith College dance program where she served as artistic director of Celebrations Dance Company and co-facilitator of Smith Arts for the Earth. She currently dances in a residency with Delfos Contemporanea Dance Company at La Escuela Profesional de Danza de Mazatlán in Mazatlán, Mexico under the direction of Omar Carrum, Claudia Lavista and Victor Manuel Ruiz. She has performed the works of Zoila Fernández and Guillermo Carrillo, co-directors of La Danza Ballet de Mazatlán, Robert Battle, Monica Bill Barnes, Andrea Miller, Adam Burruch, Sidra Bell, Kathleen Hermesdorf, Paul Matteson, Melissa Edwards, Mat Elder, and for Kelly Silliman in her graduate work and as a tinydance collaborator. Hailing from New York City, Charnice O. Charmant studies Dance at Smith College. In the early days of her dance journey, Charnice explored dance with the National Dance Institute and the Pauline Brathwaite Dance Ensemble at her church. From the age of 13, Charnice was given many opportunities to teach dance to kids in and out of her community, with the hope that she could spread the confidence and strong character that dance continues to cultivate in herself. At 16, Charnice had the opportunity to intern with the Creative Outlet Dance Theater of Brooklyn, as the assistant to the artistic director. At the tender age of 20, Charnice continues to live through dance and choreography. As the assistant artistic director to the Celebrations Dance Company, Charnice choreographs and coaches her peers in all aspects of dance. Throughout her college years, Charnice has had the opportunity to choreograph her major work on the integration-turned-segregation of black bodies, "BLACK; her's, her's and mine", and has also studied under established dance artists such as Chris Aiken, Rodger Blum, Melissa Edwards, Karisma Jay, Candice Salyers, and Kelly Silliman.